HARLOW, England, April 12, 2019 /PRNewswire/ -- Haag-Streit UK (HS-UK), the leading manufacturer and distributor of gold-standard optometry and ophthalmic equipment, is pleased to have supported The Royal College of Ophthalmologists (RCOphth) on a recent initiative to move the FRCOphth Part 2 Oral Examinations to independent venues. With NHS hospitals under increasing pressure, the RCOphth made a decision to move the FRCOphth Part 2 Oral Examination away from a clinical setting to minimise the impact on NHS eye clinics. The use of external locations led to the College's need to purchase a range of ophthalmic equipment for students to utilise during the exams. HS-UK supplied the College with everything they needed for students to complete their exams, including six new Haag-Streit BI 900 LED slit lamps. HS-UK was also very pleased to be able to donate four refurbished BQ 900 LED slit lamps, to allow the College to acquire sufficient equipment for their initiative, within budget. Alongside the slit lamps, HS-UK also supplied a range of supplementary testing items, including; ophthalmic lenses, test charts, ophthalmoscopes and retinoscopes. The equipment will primarily be used to facilitate the FRCOphth Part 2 Oral Examinations, which happen in April and November every year. The exam is one of four that trainee ophthalmologists need to pass in order to achieve the Fellowship of The Royal College of Ophthalmologists. Grahame Wood, HS-UK National Sales Manager, said, "We were delighted to be able to partner with The Royal College of Ophthalmologists on this important project. 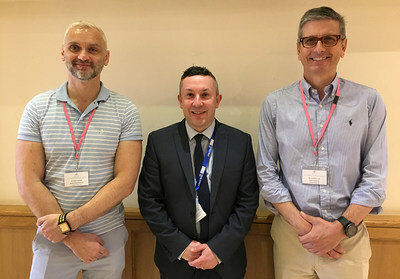 It was a fantastic opportunity for HS-UK to work alongside the College, assist with the delivery of the exams, and to support the next generation of ophthalmologists." Dylan Costello, Head of Examinations, The Royal College of Ophthalmologists, said "This move has been a great opportunity for the RCOphth to invest in the latest, state-of-the-art equipment for examination candidates to use, providing them with an improved experience." Dylan continued, "By using an industry leader, such as Haag-Streit UK, we can ensure that examination candidates have access to the best equipment available, therefore continuing to deliver an important and robust examination for the consultant ophthalmologists of the future." For further information on this project or any of the HS-UK product portfolio, please call (01279) 883807 or email info@haag-streit-uk.com.